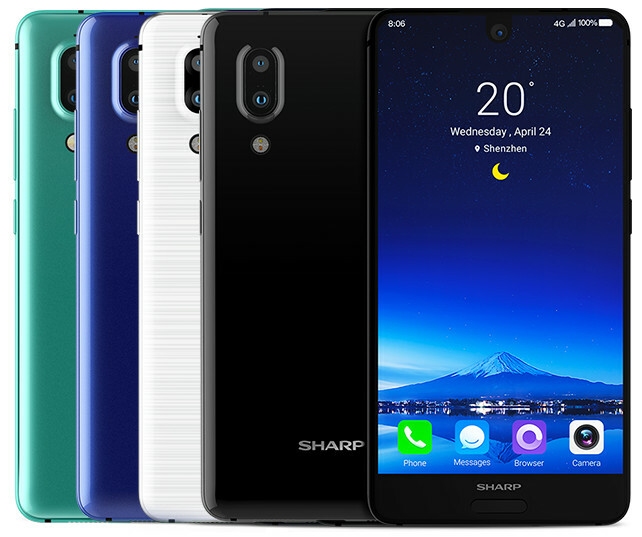 Sharp to Launch Highest Screen-to-Body Ratio Phone in January 2018 - Playfuldroid! This year Sharp returned to the world of smartphones by releasing Sharp Z3 and Sharp Aquos S2. During a recent interview, Luo Zhongsheng, the CEO of Sharp phones revealed some information on the strategy of the company. The Sharp Aquos S2 that features a full screen design and iPhone X-like vertically stacked dual cameras was unveiled in China. Because of the low popularity of the brand, the first sales of the phone did not meet the expectations of the company. Between August and October, the company could sell only 10,000 units of the Aquos S2 through online and offline channels. He has also revealed that the company will be debuting will be launching a smartphone with largest screen-to-body ratio. Also, the company will be launching many devices in 2018 to increase its market share and to popularize the brand name. Zhongsheng also confirmed that its low-end phones will be sporting an aspect ratio of 18:9 and will be costing around 1,000 Yuan. However, high-end devices may have increased aspect ratio and they will be priced below 2,000 Yuan. Sharp was expected to launch FS8016 and FS8010 in July this year, but it appears the company has not launched them yet. Recently, another Sharp phone with model number FS8018 on Geekbench. These smartphones my get unveiled in 2018.